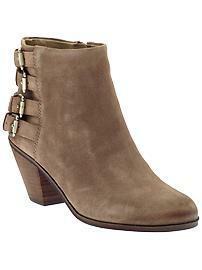 For a neutral look with a perfect heel height, these Lucca boots by Sam Edelman fit the bill. Also available in black. Dress things up a bit with this Dolly boot from Aldo. Bonus – great price! 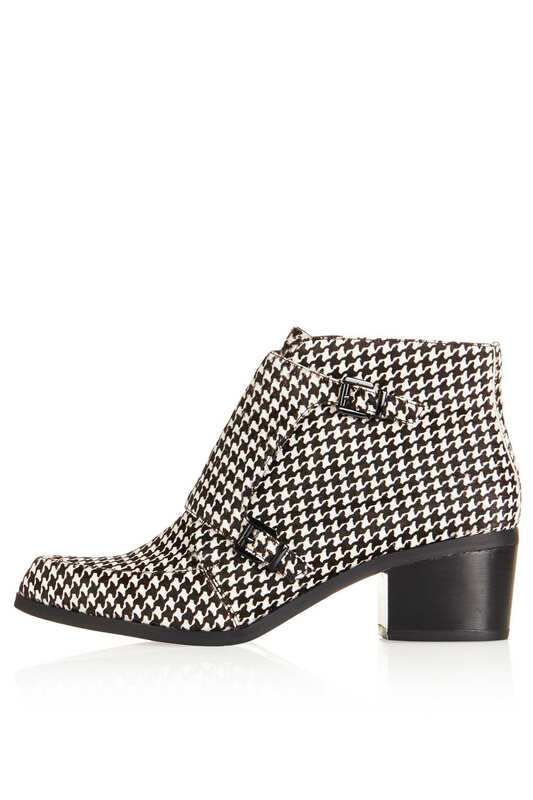 If you want an ankle boot that makes a statement, choose one with a pattern, like this Acute Dogtooth Monk boot (say that 3 times fast!) from Topshop. The faux suede booties below from Forever 21 look almost exactly like this pair from Rag & Bone that sell for $495. At $36, these booties are a steal! 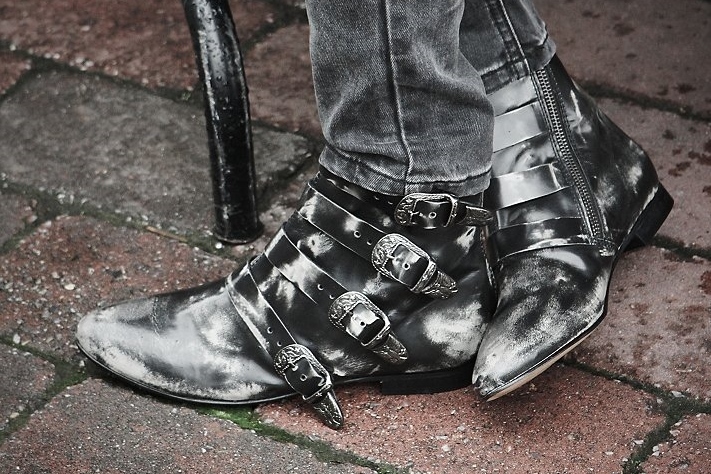 If you’re looking for an edgy bootie with some hardware, these Beatnik ankle boots from Free People should do the trick.